We live in a world of numbers. The corporate world is full of them: individual ones, statistics, equations, algorithms…all measure of formulae, some pedestrian and some mythic – but we have quantified everything, and I do mean every thing, to the “nth” degree, as if it will provide us a wisdom formerly unbeknownst to the world. However, in that, we fall into two black holes: 1) that something must be complex to be meaningful, and 2) that it really can’t be that obvious. (Simple works, and yes, it can be that obvious). 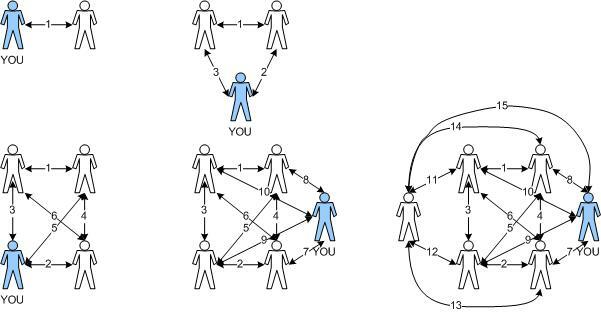 Today, I want to share a formula that is simple and most anyone who has taken Organizational Behavior or Communications 101 should know, and that is ridiculously obvious but especially so for anyone who has ever been part of a group of more than three people (therefore, everyone). 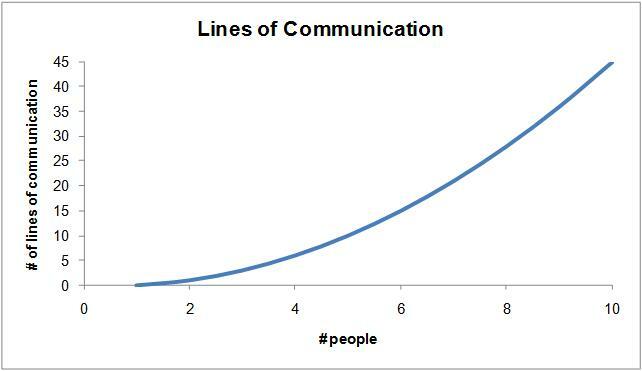 The formula is for Lines of Communication (“LoC”): (n2 – n) / 2 where n = number of people. You can then copy and paste that down the as you continue to put values in column B. 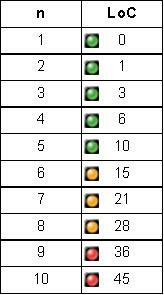 The stoplight conditional formatting is an automatic option in Excel 2007 and just update the rule to have it show in reverse order. 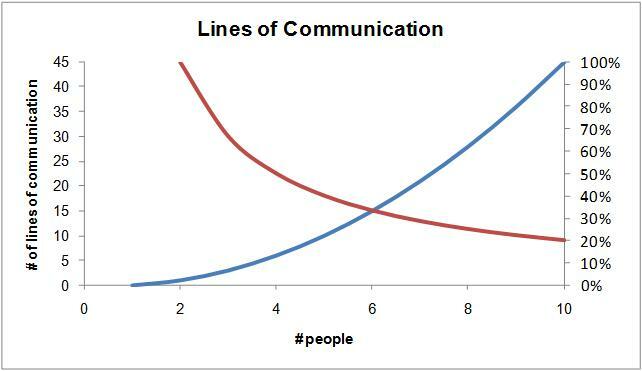 So, even a cursory glance shows us that the lines of communication goes up rather quickly as you add one person to the conversation. Wouldn’t take much to make the management of work teams and projects a bit complex, yes? The reason I stopped at 10 is that over the past 8 years, in speaking to friends and working in various companies, there’s been a push that at a certain level, it’s expected that a senior person directly manage or have a Span of Control (I do enjoy that term) of at least that number. That’s 45 different perspectives, conversations, feelings, and realities to manage. I have trouble enough with my own and maybe two other people. That gets me to a grand total of 3 – add 42 to that number and how would you fare? I don’t think it’s necessary for me to show you 10 people. Therefore, for those of us who are tasked with building and managing teams – the number, the structure, the hierarchy, all of it – I would ask that you give some serious thought to an individual person’s capacity for keeping track of the various lines of communications that inevitably exist and will be used. The math is simple, yes, but the impact it will have on the people in your organization, the projects you must execute, and the goals need to meet is not merely significant, but may be the most important success factor there is and surprisingly one that you can control.